I’ve just added a PDF of “Road Trip – New England and Eastern New York” assembled from out of copyright images on the New York Library Digital Archive to my Trail of Cthulhu resources. 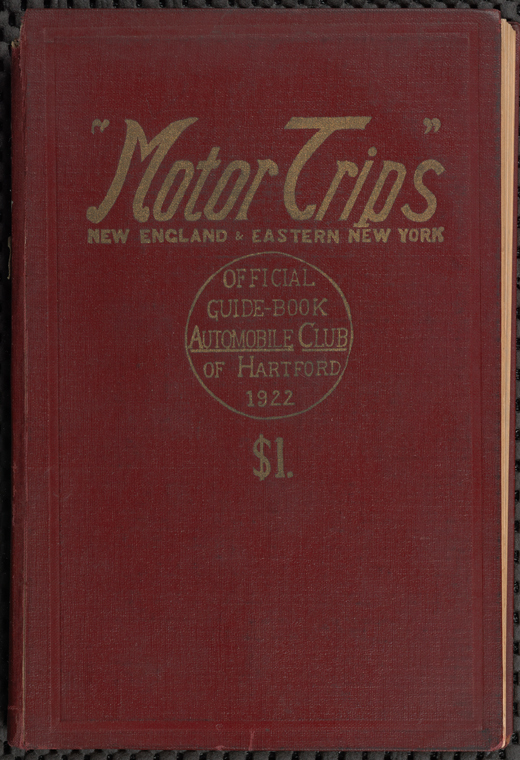 The idea I’m toying with is one or more scenarios for Trail of Cthulhu (or I may go with Call of Cthulhu) in which the Investigators find a damaged copy of “The Ideal Tour New England Road Trip 1920” with notes by an aquaintance. I’ve not deciced yet if the aquainance turns up dead in suspicious circumstances or simply disappeared. I’m working on the damaged version which will have margin notes, torn out pages, burnt parts, (blood) stains, inserted notes, some receipts and other clues. I’m going to use “Road Trip” as a secondary source both for myself and the Investigators. They can come across a copy of “Road Trip” quite easily – getting it from the library, buying it in a book store, finding it in the aquaintances flat (I’ll be using one of the apartments from “Worlds Loose Leaf Album of Apartment Houses 1910” for that) or being given it by a helpful NPC. Hey Mark, thanks for all the hard work in preserving this book. I have downloaded this resource and have to smile as I turn through its pages. And the father's heart that bleeds! And the meadows' kindly page.